← I Hate This Double-R Thing So Much! 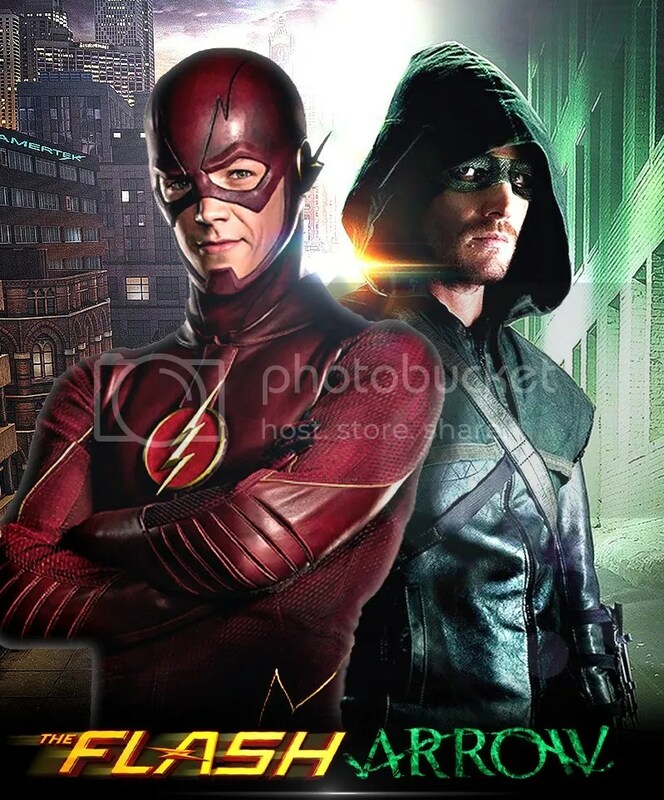 I don’t know if there is any one reason, but I have completely stopped caring about Arrow and The Flash. I still watch both shows, and they’re both still fine, I guess. But man, I really, really don’t care anymore. I don’t care what Damien Darhk does to Star City. I don’t care about Zoom. I don’t care if Oliver and Felicity repair their relationship. I really don’t care that Laurel died. I don’t care that Cisco is still taking forever to become Vibe. I don’t care if Wally West becomes Kid Flash. I don’t care that Zoom killed Barry’s dad. I just…I just don’t care. These shows are too long, too bloated and too…I don’t know. It’s all just sound and noise. I still cared last year, but checking in week-by-week for the past few months has been nothing short of garbled meh. I have a few specific complaints I’ll get to in the rest of this list, but off the top of my head, I think Marvel’s The Defenders might be part of the problem. I love Daredevil and Jessica Jones, and I couldn’t be more excited for Luke Cage, Iron Fist, Punisher and all the rest. This whole Marvel/Netflix thing kicked off last Spring, just as Arrow Season 3 and Flash Season 1 were coming to a close. And we have now had three entire Marvel seasons in the time it’s taken to air Arrow Season 4 and Flash Season 2. And I was able to binge watch each of those seasons, devouring them in one great, glorious moment. Whereas Arrow and The Flash have had to drag on, week-by-week, episode-by-episode. And yeah, that’s how normal TV shows do it…but I think my viewing habits better line up with the binge-watching model. I think that’s for me. 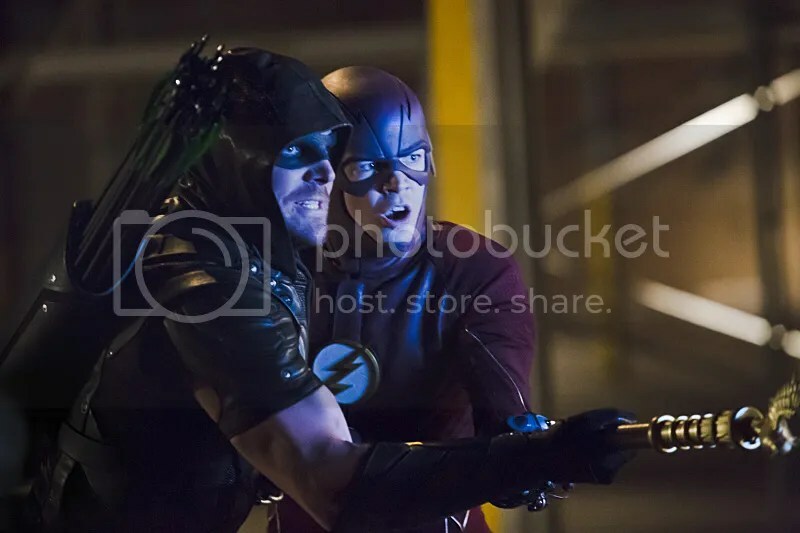 I wish I had a better memory, and could point out specific moments, but the writing and general show construction on Arrow and Flash is pretty terrible. It’s just plain bad. The dialogue is often painful. The characters make stupid decisions that make no sense, unless you consider it in the context of the TV show. Like Capt. Lance hooking up with Felicity’s mom on Arrow. What a horrible, horrible choice. Or that ridiculous new editor at Iris’ newspaper, who is written like every bad newspaper cliche imaginable, only for him to become a possible love interest. Or every single flashback this season on Arrow. Or the fact that, once again, Flash went to great lengths to keep both Patty Spivot and Wally West in the dark about his secret identity, even though we all agree that same storyline with Iris was the worst part of Season 1. Or every time the writers on The Flash made up some new rule about Earth 2, like how Earth 2 doppelgängers are all mirror images, so that Earth 2 Cisco is supposed to be left-handed. COME ON! You can’t must make it up as you go along! Perhaps I could go on and on. The crapitude was never ending. I spent far too many episodes rolling my eyes. I just couldn’t lose myself in the shows anymore. Though I will say that the acting is usually top notch. Most of the people on The Flash are killing it, especially Carlos Valdes as Cisco and Tom Cavanagh as the Harrison Wells of Earth 2. I heard that a lot of their scenes were improv, which is awesome. Was there any reason why his plan had to go down in Star City? I shuddered every single time the 4-man Arrow Team walked into a warehouse together. As much as I love sidekicks, I don’t love entire superhero families nearly as much. Even though it was a solid progression of the story, having John, Thea and Laurel all join the Green Arrow in their own costumed identities was a little too much for me this season. And it moved the show away from the awesome earlier seasons, when Oliver was waging his one-man crusade out of a basement. Back then, the show had stakes, specifically when it came to Oliver’s life. He had to piece everything together by himself. He had to find ways to afford his equipment. He had to keep his secret from his family and his company. He had to make appearances as Oliver Queen. In Season 4, all of that is gone, stripped away by the ever-growing show. Now he no longer has a public persona, at least not really. He ran for mayor, but was Oliver ever really focused on that? There’s no Queen Consolidated. There’s no family mansion. 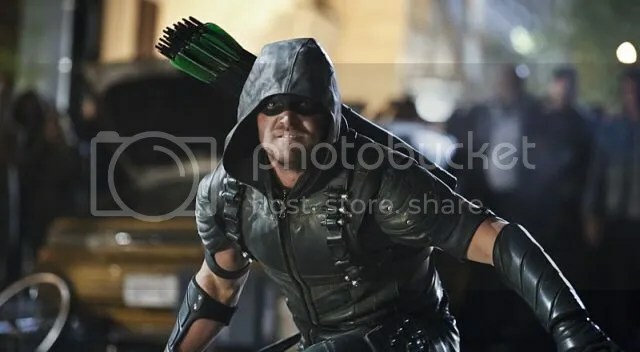 Everybody in his life knows he’s the Green Arrow and is an active member of his superhero squad. He doesn’t fight normal crime anymore. Season 4 is just one long saga of how Green Arrow can’t defeat Damien Darhk until the season finale. And then he defeats the guy in just another fistfight in the street, while Felicity ‘magic-hacks’ away 15,000 nuclear freakin’ weapons. Does any single episode stand out in Season 4? Did any single moment really have an impact? It’s all just been one failure to stop Darhk after another. 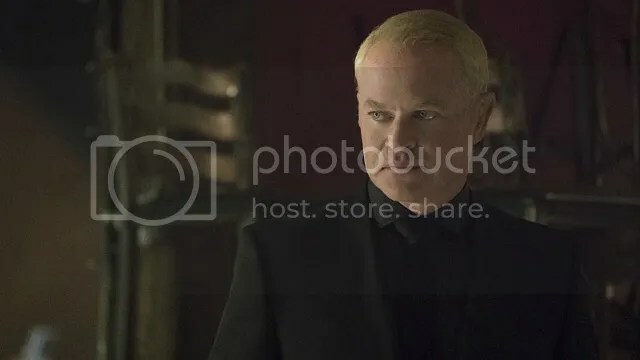 And while Neal McDonough is fine as Darhk, and while I don’t dismiss the season-long bad guy idea in general, Arrow just didn’t find ways to balance this season. Arrow Season 4 was all about how Oliver Queen’s one-man crusade has been striped of its tension and mystique. Every character is a superhero now, they all essentially live in the Arrow Cave, and yet they can’t stop the big bad guy because TV conventions mean they have to wait for the finale. The Flash started off with a big supporting cast already in place, and that didn’t get too out of control this season. 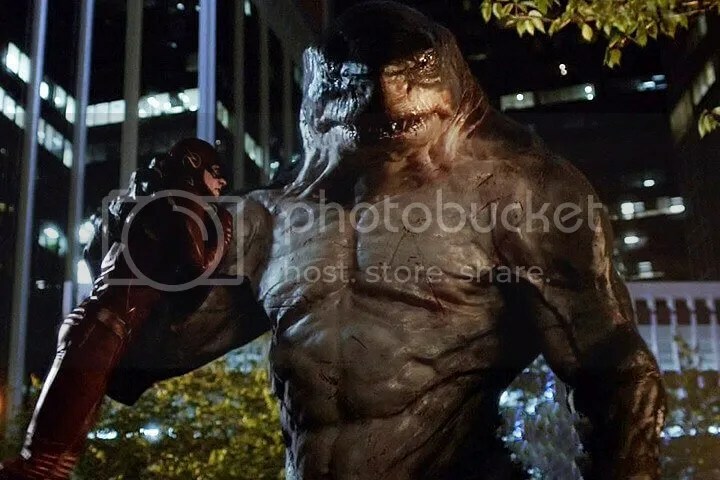 But The Flash suffered from the same villain problem: introduce a dangerous threat at the start of the season, and just have the heroes keep failing to stop them until the season finale. In that regard, The Flash got too small. Rather than have Barry Allen fight a bunch of different metahuman bad guys, culminating in one big bad guy, like in Season 1, this season has been all about stopping Zoom, and occasionally dealing with some new metahuman who works for Zoom. There was no real growth for the Flash or his cast. Everybody is still exactly where they were at the start of the season. The Flash is maybe faster now, I guess? But ‘gotta go fast’ is not good enough character growth. 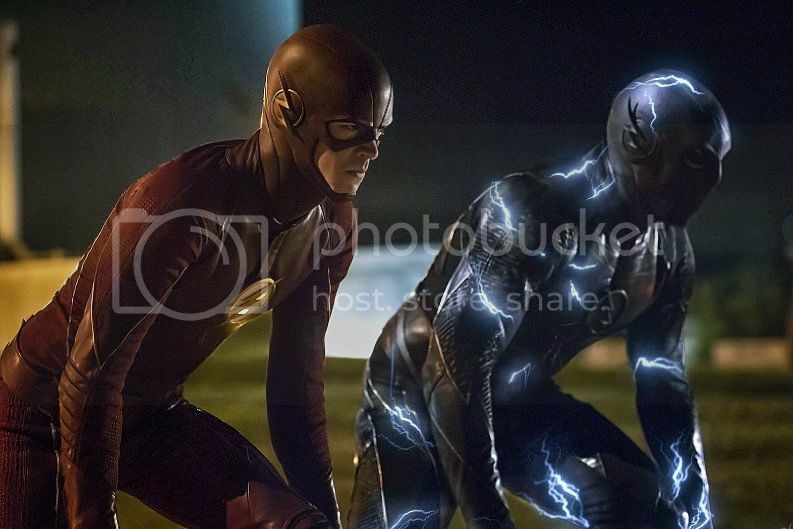 How are we, the viewer, supposed to measure Flash going faster than he already is? And what’s the magic number of ‘fast’ that will allow him to defeat Zoom? What has Barry Allen done this season beyond worry about Zoom? He dated Patty for awhile, refused to reveal his secret identity to her, and then she left the show. That’s pretty much it. He hasn’t grown as a hero or a person, unless you count undoing the lessons of Season 1. And like Arrow, the show has stripped him of his real life responsibilities. Who is Barry Allen to the world? How does he even still have a job with the Central City Police? Neither one of those things matter to The Flash TV show. Barry is the Flash 24/7, but not as part of a storyline, simply as the normal course of business. Everybody else is kind of exactly the same way. Iris has come around to wanting to date Barry, but that’s about the only real change anybody had. Joe and Iris welcomed Wally into their family, but they’re still the exact same people. 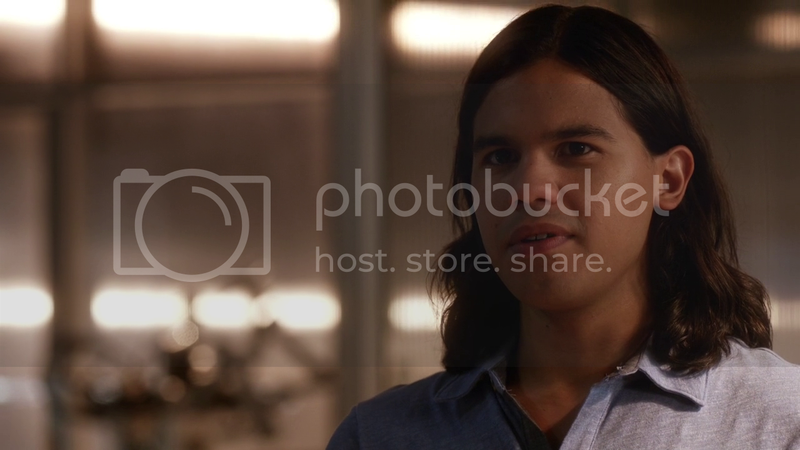 Cisco has super-powers, but he’s still the same Cisco. Caitlin has had to deal with some real drama, but she’s largely the same. For that matter, do any of these characters have lives outside of STAR Labs? Do they even have their own apartments? Friends? Hobbies? How is STAR Labs even operational? How do they afford to keep the lights on in that giant facility? Or pay the property taxes? Or afford all the new gadgets and gizmos they invent? Is STAR Labs somehow generating income on the side? Harrison Wells is dead, yet Cisco and Caitlin keep right on working at the lab, which is now 100% devoted to helping the Flash. Surely STAR Labs did non-Flash work before the particle accelerator exploded, right? What happened to that stuff? STAR Labs of Earth 2 is a vibrant work place filled with hundreds of employees doing good work. STAR Labs of Earth 1 should have been torn down a long time ago. Also, Zoom was scary at the beginning, but once he took off the mask and revealed his secret identity, he lost a lot of his scariness and mystique. And he barely puts his speed to good use on Earth 1. He supposedly conquered his entire planet thanks to his super speed. Also also, the show hasn’t figured out their speedster problem. 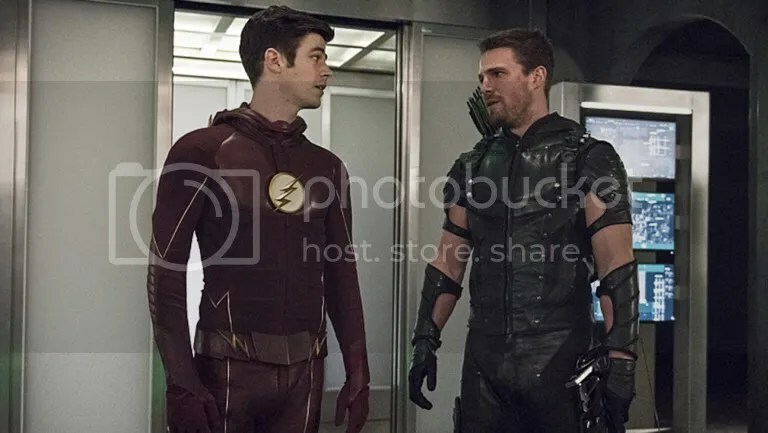 Barry’s first instinct is still to speed into a room and then stop in front of a criminal, giving them ample opportunity to attack him first. When he faced off against Black Siren? I was screaming at the freakin’ screen. Flash was racing to the scene to stop a metahuman from destroying a building. At his speed, he could have had her handcuffed and in one of their illegal prison cells before she even knew what was happening. Instead, he arrives, stops right in front of her, and lets her scream at him several times. He would have been killed right then and there if Wally West hadn’t been randomly inserted into the scene. For a season spent trying to make Barry go faster, he still has no idea how to properly use his speed. I didn’t care for either Legends of Tomorrow or Supergirl, both of which might be considered drags on the overall DC TV landscape. Normally, I would be thrilled at such a huge live action superhero lineup. But Legends of Tomorrow was a clunker from the title on down. I could go on a rant like I just did for The Flash, but I don’t know if I have it in me. The plots were ridiculous, the writing even worse, Vandal Savage was infuriatingly dull and miscast, and most of the characters were just kind of dumb. The whole concept was dumb. I couldn’t bring myself to watch the whole season. Supergirl just wasn’t as good either, for all the same reasons. The writing, plots and characters just aren’t as sharp as the first two seasons of Arrow. I think the producers and staffs are learning the wrong lessons from the success of Arrow. Just like The Flash, Supergirl put together their hero and their quirky supporting cast in the pilot episode rather than let either grow organically. But Arrow started slow, building their main character and his relationships until fans were ‘shipping Oliver and Felicity based purely on the quality of the show. Supergirl and Legends of Tomorrow thought that Arrow‘s magic could be recreated on an assembly line. There’s a formula, now, to all of these shows. But it’s not a good formula. And none of these shows are very entertaining to watch. 1. I’m still totally excited for the new crossover! All of that being said, I can’t wait for the big 4-show crossover coming in December! 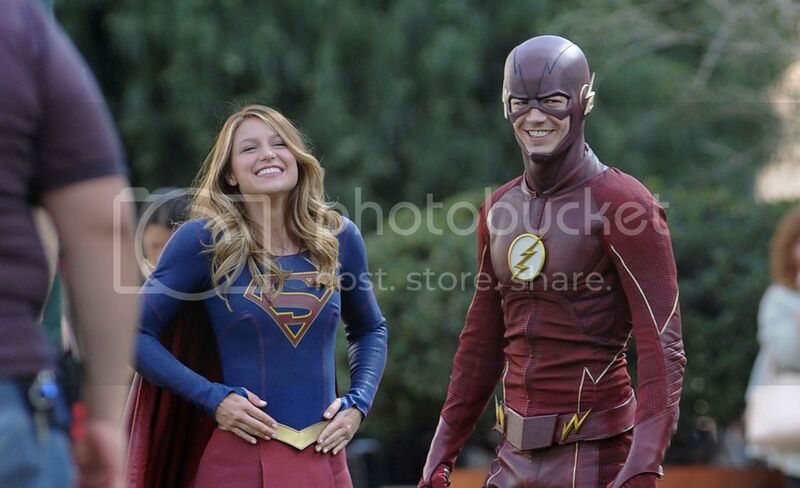 I loved the crossover between Flash and Supergirl. That’s the sort of fun, character-based superheroics I can get behind, and I wish that episode had featured even more. I’ve loved pretty much all the crossover events The CW has delivered. There’s an energy and excitement behind them. And even though this new one will involve traversing alternate dimensions and probably time and space, I really hope they can pull it off! Also, they should just make Supergirl part of the regular Arrowverse. Just make it happen. Posted on June 1, 2016, in DC, Lists of Six!, Television and tagged Arrow, Arrow-Verse, Flash, Green Arrow, Legends of Tomorrow, Supergirl, The CW, The CWverse, The Flash. Bookmark the permalink. 4 Comments. As someone who’s in love with the CWverse, I get what you’re trying to say. It really bugs me when bad dialogue, poor character decisions, and the Flash forgetting that he has superspeed takes me out of the show. The Season 4 finale of Arrow was undeniably terrible television. The Flashpoint comic glossed over this question, but Flash Season 2 actually showed us why. Barry has 2 mentors betray him, his speed stolen, his speed given back only to see his father die, not to mention his friends always being put in danger because of his speed. To me, that’s pretty impressive and more than enough reason to stay on board. I will admit that Flash was way better than Arrow, and I actually liked the Flash season finale. So Flash wasn’t all bad, but it still suffered from some bad writing this season. And I don’t really love or hate his decision to save his mom. I’ll definitely tune in next season to see what happens. I think there were some pretty stand-out moments here and there. I know Oliver cutting off Barrowman’s hand was pretty great. That whole episode was good. And John Wesley Shipp as Jay Garrick was just a delight to see. Oh and the episode where Flash talked to the Speed Force was terrific. I liked Legends of Tomorrow for Captain Cold. He carried that show, but for some reason the world decided that we needed more Prison Break. I also liked that they didn’t save Rip’s family. Oh and the bit where he named his son after Jonah Hex was cool…but they didn’t make Hex cool enough overall in that episode. And as for Supergirl, everything with the Martian Manhunter was great TV: His reveal, his backstory, his pseudo-father/daughter relationship with the girls…all just wonderful. And John Constantine was perfect. They needed a lot more of him. I would have loved to see Darhk vs. Constantine. But yeah there were a bunch of problems. They introduce magic in the DC TV-verse but we don’t get anyone else. Vixen, Constantine, and whoever Esrin Fortuna is. (Not the Question for some reason!) But boy it would have been nice if we went full-tilt and got Zatanna, the Phantom Stranger. Hell the Spectre would have changed the shape of the shows as we know them. They could use that right about now. Also the Constantine show gave us the Helm of Fate, but now that that show’s cancelled, I’d like to see Arrow or somebody pick it up. I have mixed feelings. I want more and more super heroes to show up. But I do agree that Team Arrow got so big that it became silly. Adding Jessie Quick, Kid Flash, and Vibe to Team Flash will probably have the same effect. 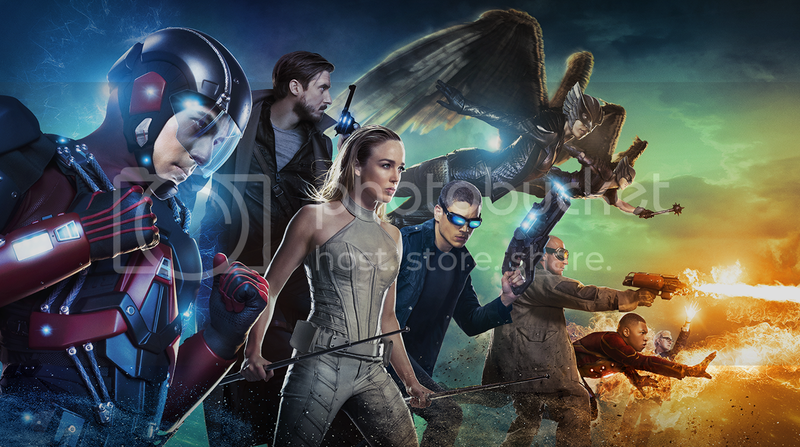 And Legends of Tomorrow was proof that just tossing these heroes together is not a good idea. Old Man Firestorm had zero chemistry with any of his co-stars… especially Young Dude Firestorm. Their scenes together were torture. Now if you want the best “DC” show on television, you need to watch Lucifer! The Police procedural / case of the week thing is lame, but once you get to episode 6, the show is fire! P.S. I just recently learned that the dude who played Damien Darhk also played Dum Dum Dugan. If I’m not mistaken, that might be the most notable cross-company casting since Ryan Reynolds. As much as I may enjoy Barrowman, he should have been killed off a long time ago. It boggles the mind that Team Arrow has let him live time and time again. I get that he’s Thea’s dad (a twist I still don’t particularly like), but there are way too many moments where Malcolm totally screws them all over and Oliver just grumbles about it. Malcolm Merlyn should be dead! So seeing Oliver cut off his hand instead of killing him outright was another dumb decision. 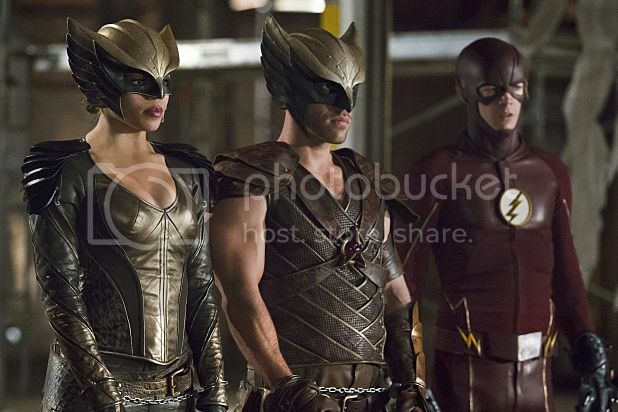 Though Shipp as Jay Garrick was definitely a nice touch. Kudos on that. And yeah, Captain Cold carried Legends of Tomorrow, but he wasn’t enough to keep me watching. I didn’t even see the end, or the Jonah Hex episode. I did see a lot of the Martian Manhunter stuff on Supergirl, and that was definitely great. And yeah, John Constantine was perfect. It was awesome to see him show up in the ‘Verse. So I’ll definitely admit there were some high points. And Lucifer, you say? I haven’t been watching at all, but if you say it’s good, I’ll believe you. I’m eager anticipating new episodes of Preacher. The pilot was outstanding.